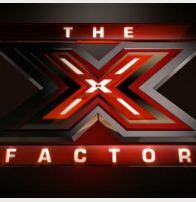 Starting tonight, September 21, 2011, the new show X-Factor will begin. With judges Simon Cowell, Nicole Scherzinger, L.A. Reid, Paula Abdul, and Cheryl Cole. In watching the first 90 minutes of the show thanks to Fox VIP, it is already apparent that Simon and Reid have very different opinions on talent and because of it some talent gets to move forward and some do not. The people trying out ranged from the age of 12 to 88. In Los Angeles, 20,000 people turned out to audition. Host Steve Jones explains that the prize is $5 billion recording contract from Sony, and they will be featured in the Pepsi ad during the Superbowl, a place where people such as the likes of Janet Jackson, Justin Timberlake, and Britney Spears, has been. After the people are chosen, there will be three groups: Boys/Girls/Over 30/Groups with mentoring in each category. The difference about the auditions is that they take place in a stadium full of people as if it were a show. But it is similar to Idol in the way the judging occurs. There is some brilliant talent in here (names I cannot disclose). They only let one or two up who really could not sing in each city. It is a classier way of doing things and I hope you will all enjoy it.